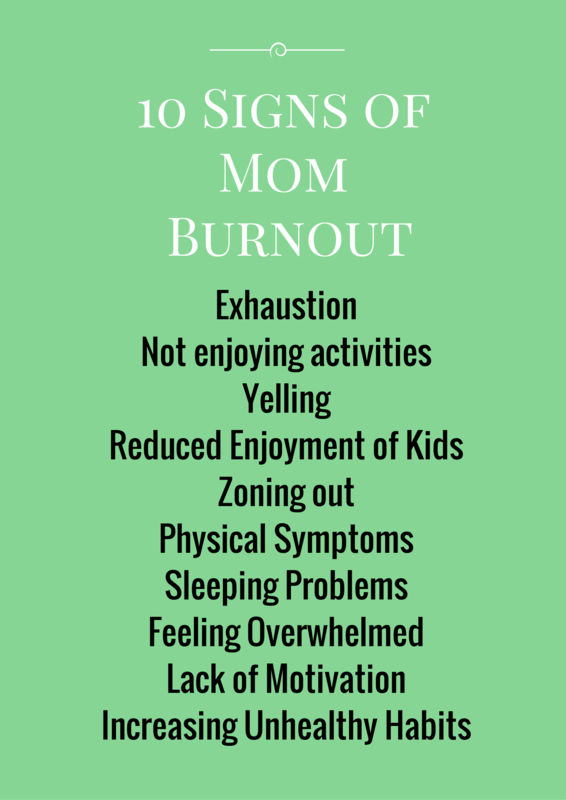 How to overcome burnout as a mom? The first statement is often, “where would I find the time”? This can be followed up with “I am home with the kids all day” or “I work and only get to see my kids for a few hours before bed”, “I do not have the money to go to the gym”. These are just some of the statements that I often hear and these statements are very true. But what else is true is that chronic stress is unhealthy. Chronic stress leads to mental health concerns such has anxiety or depression. In addition, it can lead to physical health problems such as a weakened immune system. And let’s face it, no mom has time to get sick. We do not get sick days! So although it may be difficult to find time to manage your stress, it may be less of a time and money commitment in the long run. If you have answered yes to some of the above questions, the first step is to identify the source of stress. This is different for people. For example, is it that you are constantly care giving and have no alone time, is it money, is it something in your relationships? Once you identify the source(s) of stress, develop a plan to handle it if you can. Again this may be different for people. If you are struggling because you are constantly with your kids, a plan could be taking Saturday afternoons to yourself or taking a morning to sleep in/have quiet time. Maybe part of that plan is working through mommy guilt that you need to always be with your kids. Being burned out is not a weakness, nor is asking for help. All moms have periods of time that motherhood is overwhelming. It is impossible to keep up with all that is demanded and expected of being a mom. Sometimes the best thing to do to reduce stress is to let go of expectations for yourself, your kids and your family. Make a list of things that make you happy and try to do 1 of those every day or at least a few times a week. Brief therapy can be beneficial for helping with managing signs of stress and mom burn out. If you feel you could use some assistance with identifying your stress and developing a plan, please contact me about my Mommy’s Time Out Group: A group for moms because you matter too. This is a 5 week group course. Come meet other moms, get time for yourself and identify ways that will work for you. You can find more information here.